One time a prospective client called my boss. They were desperate. They had just launched a new website and suddenly their traffic from Google dropped off a cliff. Now, this wasn’t anything we hadn’t seen before. Developers are focusing on making a website work and when it does, they believe their job is done. This often results in things like completely changing the site structure and URLs (even making them “more SEO” by converting them to words) but not 301ing the old URLs to the new pages. Even if they think about 301ing all the URLs, we often see Google traffic dipping a little as they re-index the new website. When the client called, this is what we first thought was happening (it is so very common). When we looked- nope, the dev actually took care of all the redirects (and even used 301s). A robots.txt file can kick a website out of Google’s index. Speaking of suggestions- it’s important to remember that the robots.txt file is only that: a suggestion. If you have files on your website that you really don’t want Google to index, the only sure way to prevent this is by password protecting that directory using a server-side password. The robots.txt file is a public list of things you don’t want people to see. Consequently, if I really need to hide something on my web server, I don’t list it in my robots.txt file. So long as my server is setup correctly (preventing people from viewing directories directly) it is much harder for them to find that information if I don’t list it. Have you ever felt the consequences of a robots.txt error? 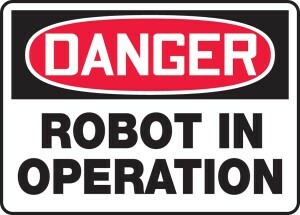 What are some other dangers you’ve experienced from a robots.txt file? Leave them in the comments, below.